Grace and Peace to you as we approach, together, the wreath of Great and Holy Lent! 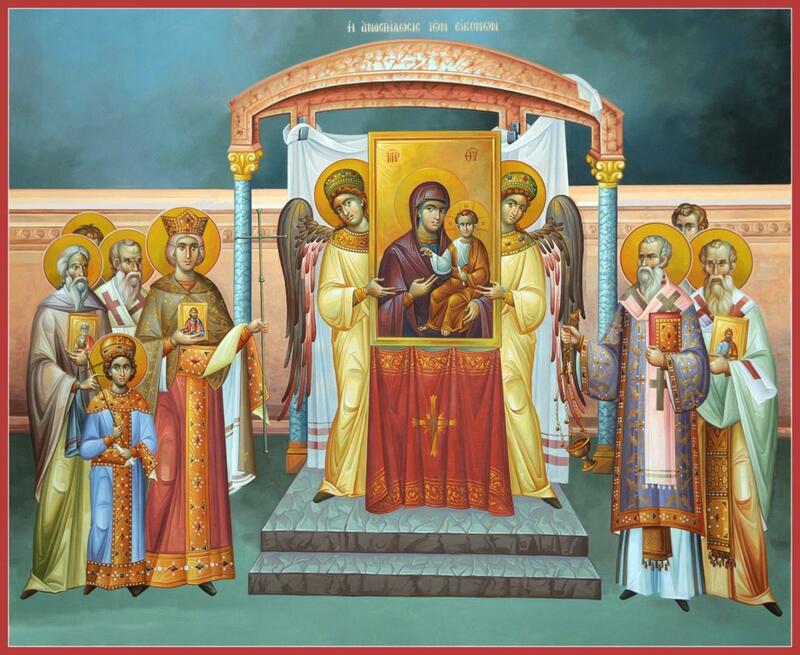 Our Holy Orthodox Church celebrates annually on the First Sunday of Great and Holy Lent, the radiant feast of the Restoration of Holy Icons of March 11th, 843under the aegis of Empress Theodora, together with her young son, Emperor Michael III and the aged Ecumenical Patriarch Methodius, known as the Triumph of Orthodoxy, or Orthodox Sunday. All of you, without exception, are to join in local Pan-Orthodox celebrations as a visible manifestation of our unity in Christ. A sterling example was given in 1952 for us to follow by our Holy Bishop Nicholai in Cleveland, Ohio. His famous sermon given on that day continues to resonate within Orthodoxy in America. 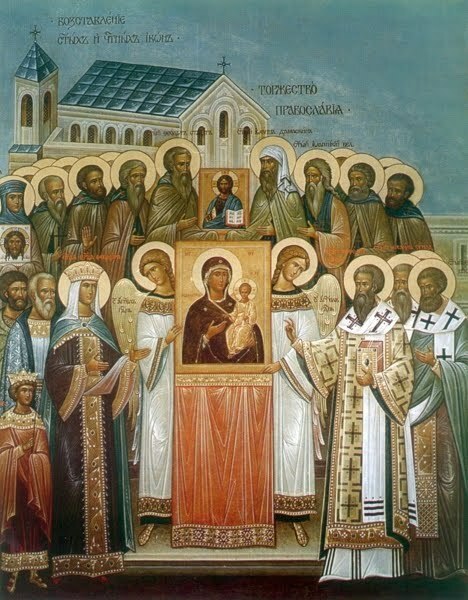 Following the single procession around the church, again weather permitting, you may stop in front of the church, otherwise have all of the children stand on the steps of the ambon facing the faithful, and all together read aloud the Synodicon of Orthodoxy and the Creed (attached). Please be certain to have distributed this the Sunday prior so that everyone can learn to read it together. Also, on the Sunday of Orthodoxy prepare plenty of copies for the entire congregation. Following the reading of the Synodicon and Creed, “Blessed be the Name of the Lord” is sung (if the readings were carried out before the church, then at this point you re-enter the church) where the Divine Liturgy is concluded. May the wreath of this Greatand Holy Lent be a blessing to you and your honorable families.